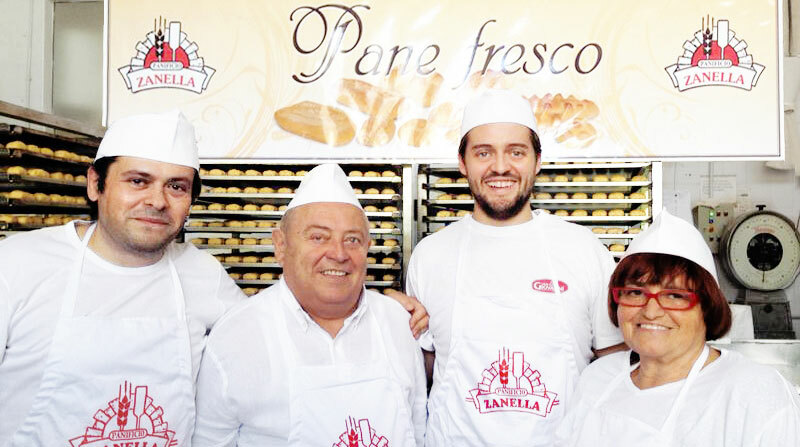 The Zanella bakery was founded in 1965 as a traditional family-based baking company, with an elastic and flexible corporate philosophy oriented to consumer needs and market trends, with the sole purpose of providing delicious and healthy bread. Over the years Zanella Company has built a brand known for quality and widely distributed throughout the region of Emilia Romagna, distinguishing itself for goodness and the selection of ingredients, ensuring traceability and compliance with HACCP and QC (Quality Controlled) standards to ensure the quality of its products from cultivation to the final consumer. For several years, Panificio Zanella has produced organic breads to accommodate the changing needs of the market, always guaranteeing the quality of their product. Today this corporate structure allows for a large and versatile range of possibilities for production, such that it can customize its products using specific ingredients for each client while continuing to ensure company standards. After fifty years of activity, Panificio Zanella today introduces an exclusive line of organic Italian products with selected ingredients, further improving the quality of baked goods available to the market. From this experience and the family's passion for baking is thus born Zanella Bio, a new brand created to please the most distinguishing palates, meeting the new demands of consumers for ingredients of the highest nutritional quality, guaranteed and certified organic.